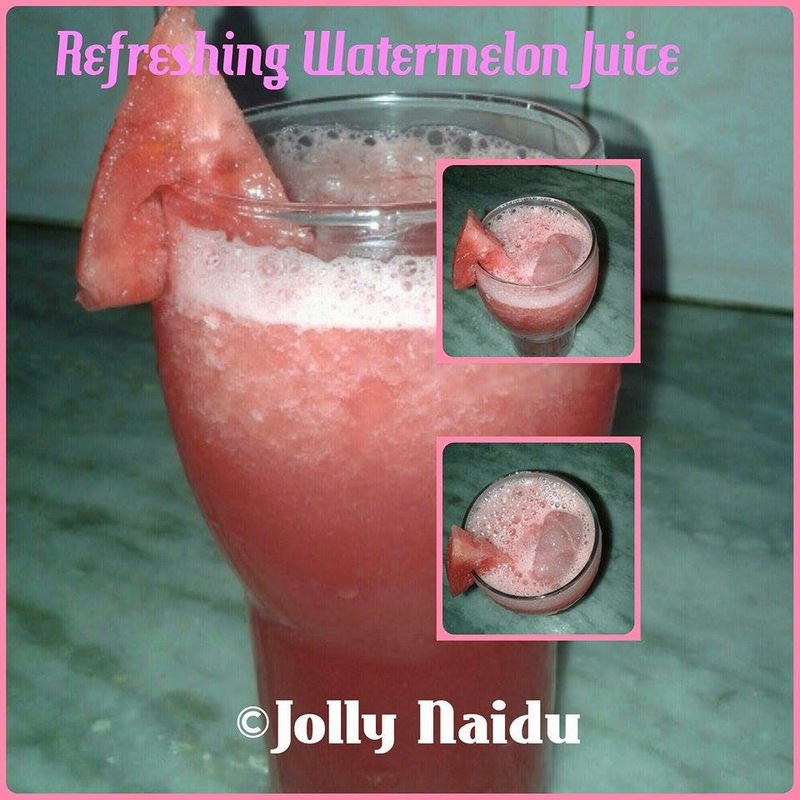 Watermelon juice is a bliss for hot summers !!! This is refreshing, tasty and healthy way to begin your day or anytime. This wonderful drink is a very light and very refreshing. It is good as it cools the stomach and is simple to make it. Watermelon is high in Vitamin A, Vitamin C and Potassium. Watermelon juice is a cool and naturally occurring beverage. Refreshing Watermelon juice is so simple to make with blender and It's perfect for a hot summer day. 1. For preparing watermelon juice, squeeze out the the juice from lemons and keep it aside. 2. Blend watermelon, lime juice, sugar, salt and the water. Mix well. 3. Now add crushed ice, mix well again. 4. Your refreshing watermelon juice is ready to Serve chilled.